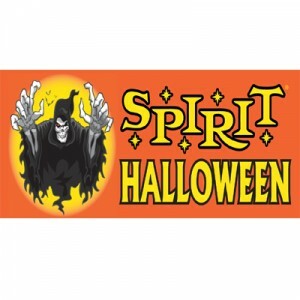 Spirit Halloween is the largest Halloween store in the United States. Some of its products are Halloween costumes and accessories which can be used by people of all ages. They also offer spooky decorations. The company was founded in 1983 in San Francisco, California by Joe Marver. It started as a pop-up store that caters to Halloween revelers. In 1999, it was bought by Spencer’s company. Today, the company celebrates its 35 years of existence. It has about 1,100 stores in the United States and Canada with over 10,000 employees. It is a growing company. As to its employees, the company provides 25% discounts on all of the merchandise. They also offer a competitive salary, career advancement, medical insurance, and 401(k) savings plan. They provide season bonus to deserving employees. People love being employed at Spirit Halloween because of the enjoyable, inspiring, fast-paced, and worthwhile environment. They even hire retirees and stay-at-home parents so they can have extra income monthly. How old do you have to be to work at Spirit Halloween? Applicants must be at least 16 years of age and must be at least high school diploma holders. They also offer full-time, part-time, and internship positions for interested applicants. Asset Protection Manager: The Asset Protection Manager must provide reports regarding the safety and loss of the equipment and products. He must ensure that the store is safe even during non-business hours. He must be a leader and must inspire his team to accomplish their individual goals. Assistant Buyer: The Assistant Buyer must be able to participate in vendor negotiations and be able to identify the current business trend. He must partner with the Product Development team and recommend sources for a new line of products or vendors. He must be knowledgeable in maintaining an open office communication. Assistant Site Manager: The Assistant Site Manager is in charge of assisting the onsite manager. This is a temporary job position which can last up to 7 months only. He must ensure that the processes are followed by his team. He must aid in planning storage requirements and coordinating with partners. Assistant Store Manager: The Assistant Manager must support the Store Manager in the overall operation of the store. He must maintain the proper arrangement of product displays, offer items to the customers, and build sales. He must work with integrity and be a good example to the sales associate. Industrial 3-D Illustrator: The Industrial 3-D Illustrator is a full-time position. He must be able to illustrate product models and create technical specifications for all the merchandises offered by the company. He must have a Bachelor’s Degree in Industrial Design to qualify for this job. Maintenance Mechanic: The Maintenance Mechanic is in-charge with repairing the equipment and other tools of the store. He must be knowledgeable in keeping the equipment functional all the time. He must keep his working area clean and must be able to perform other tasks as requested by the management. Sales Associate: He must be knowledgeable about the products of the company. He must promote each of the items to the customers and build sales. He must be able to endure standing for long hours, lifting heavy boxes, walking around the store, and climbing ladders. Sales Supervisor: The Sales Supervisor must support the Store Manager and he is responsible for maintaining the services for the clients. He must also help in maximizing sales and productivity of the staff. He must effectively put prices on items in accordance with the guidelines provided by the company. Store Manager: The Store Manager is in-charge in maintaining the services of the store to cater each customer. He oversees the daily operation of the business. Some of his duties include controlling expenses, managing people, and making the industry profitable. He must endure lifting heavy weights and standing for long hours. Temporary Opportunities – IT, Finance, and Logistics: This position requires someone to be knowledgeable in database software. He must know how to use the Microsoft Office programs such as Word and Excel. He must have a positive attitude towards the business and meeting customers. He must have strong communication and organizational skills. If you wish to apply at the Spirit Halloween, you can visit their official website and create your resume. You can input your personal information, education, work experience, and character references on the site. The pooling of the applicants is both done online and offline. You can submit your application at their stores. However, if you can’t find a store near you, you can check their website and submit your resume. In filling out the online application form, you must remember to answer all the information asked truthfully. Never skip an item and review your answers before clicking the submit button. If you wish to submit your resume at the stores, make sure that it contains complete data regarding your contact information, educational background, and previous work experience. Print it on a nice piece of paper and bind it properly. Once you submit your application, the management team will review it. If you passed, they will invite you for an interview. Make sure to answer all their questions spontaneously and honestly. Working at Spirit Halloween is fun and rewarding. Each employee will have a chance to develop their leadership skills. It is the ultimate choice for ‘scarily fun’ and one-of-a-kind Halloween merchandises. Their physical stores are open from August to November only, but you can access their official website and order anytime. Thus, you can buy any costumes you want at any time of the year and have it delivered immediately. The company is known for Halloween costumes and accessories for adults, teens, and kids. Among its featured brands are ‘Stranger Things’, ‘Hocus Pocus,’ ‘Rick and Morty,’ ‘Wonder Woman,’ and ‘PJ Masks.’ They also offer home decorations for Halloween. The company supports the ‘Spirit of Children’ which aims to bring fun to local hospitals and make it less scary for kids. The organization has raised money to provide funding for art, music, and pet therapy programs for kids. 1 How old do you have to be to work at Spirit Halloween?